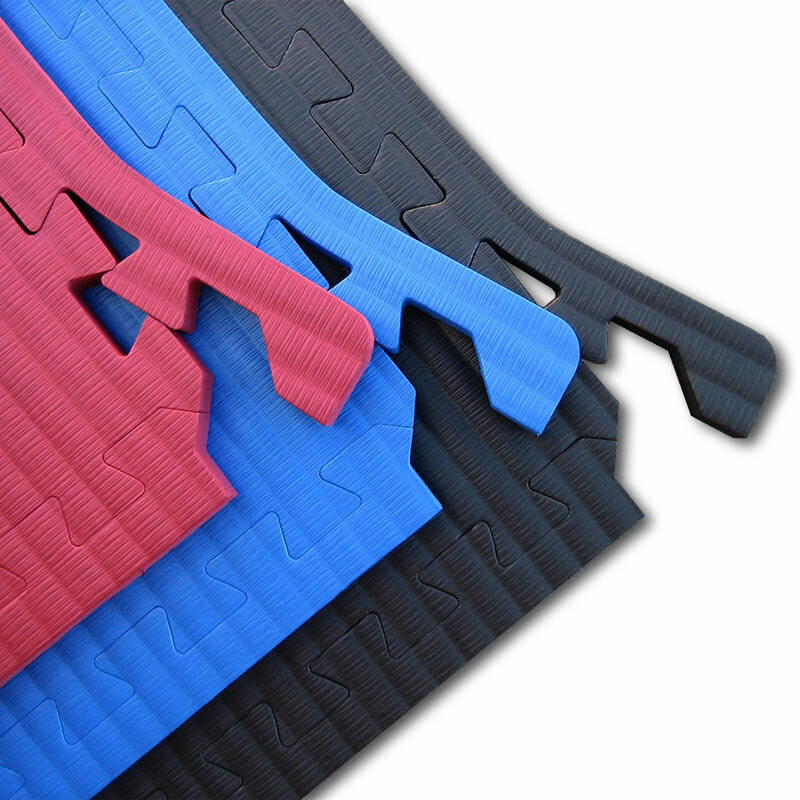 These inch-thick interlocking Martial Arts Puzzle Mats will go well with just about any martial arts usage. 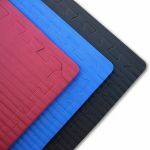 These durable durable mats transform hard, flat flooring into a comfortable padded surface that's perfect for slamming your opponent down. Do you want to throw your friend onto the ground but can't handle the guilt of harming them from the fall? 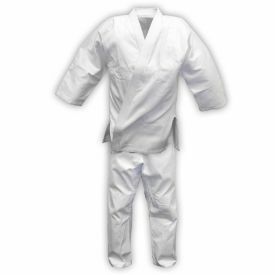 Do you practice Jiu-Jitsu or another form of martial arts forms that involve a lot of falling and throwing? Get this pack of nine 40" x 40" interlocking pieces. There are even 12 border pieces to let you create a 100 sq/ft area of matted flooring. 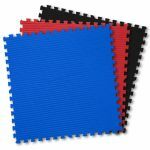 Both sides of these sparring mats are finished and the 100 square foot packs allow you to create any size area.With three color options, you can create designs and borders in larger areas. 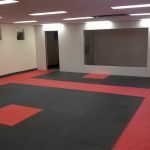 These sparring mats can be cleaned with mild soap and water and include a 1 year manufacturer warranty for defects in material and workmanship. With proper care, the puzzle mats can last a lifetime! Note: For orders of two or more packs, we can mix and match colors. Please call or email customer service for details.